Music recording and production requires a powerful blend of high-quality software and hardware specifications. Some of the best music producing software’s including Logic Pro X, Studio One Artist, Magix Music Maker, Cubase Elements, FL Studio and more, are heavy weight and demand a great deal of hardware requirements which means that you need an up-to the task laptop. In terms of standard hardware requirements, a good laptop for music production needs to have a Core i7 Processor, at least 6GB of RAM, 15 inches display size, HDD and/or SSD at a minimum. 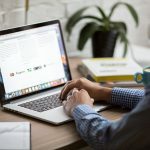 Considering these, and several other specs including the budget, we have filtered, compiled and created a list of the best laptops for music production. Here’s a review of the best laptops for music production under $500 that are currently available in the market. Packed with cutting-edge hardware specs, the HP Business Touch Screen is one of the best laptop under $500 for music production. It has a Quad-Core AMD CPU executing at 3.6GHz, 8GB of RAM, 1TB HDD, DTS Studio Sound, Webcam HDMI and Radeon R7 graphics to provide premier level performance that you need to compose music faster and better without any glitch. 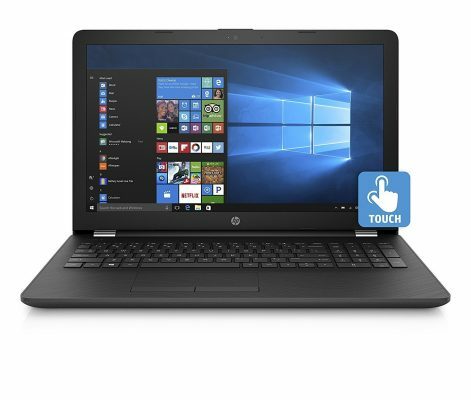 If you are a music producer, artist, or a DJ searching for a good music production laptop under $500, you will certainly love the HP Business Touch Screen machine. It is blazing fast, seeing that it features a Quad Core Processor that is coupled with a modern Radeon GPU and a perfect display size. It is also loaded with a good amount of RAM and more than enough storage space for all your software and data files. You will love its fantastic touch screen capability and LED display technology. When it comes to transferring files, this laptop has good wireless connectivity options and modernized USB ports. 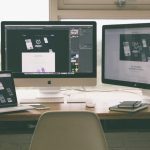 Getting it will no doubt enable you carry out your music composing, recording, editing and rendering processes smoothly with no glitch whatsoever. Designed for users who need a portability in multimedia, the ASUS VivoBook is a powerful laptop that you can use to carry out high-end music recording and production. It is powerfully driven by a 7th Gen i5 Intel Core processor and 8GB RAM memory. With the ASUS Sonic Master audio system that integrates ICE sound technology, this attractive Vivo Book provides outstanding visual and audio music production performance and experience. The ASUS VivoBook is modern in design giving it a stylish look and feel. Its full-size and striking chiclet keyboard provides users with a superb typing experience.It features a powerful audio system that combines state-of-the-art sound technology to facilitate crystal-clear sound processing and delivery. In addition, VivoBook features high-tech 3W speakers integrated with a 24cc sound chamber and superior transmission line to deliver rich, discrete and bass vocals. This laptop also boasts a wide assortment of connectivity ports including USB 2.0, USB 3.0 and USB 3.1. Additionally, it features VGA, HDMI, and SD card reader to enable compatibility with many devices and peripherals supporting lighting fast data transfers. It will certainly perform extremely well for any music production jobs. The Dell Business Laptop is an admirable all-purpose laptop under $500 which features a 15-inch Full HD display. It offers remarkably good performance thanks to its latest generation Intel Core i3-7100U CPU, 8GB of RAM, advanced Intel HD graphics and 1TB HDD that will allow you to perform any high-end music related tasks effortlessly. When it comes to music production laptop specs, the Dell Business Laptop is pretty satisfactory. You can use it to produce high quality sound design tasks which you can mix effectively in your studio, home or any live music environments, and all this without any problem in your workflow. High-tech integrated Intel HD Graphics in the laptop works flawlessly and facilitates outstanding video streaming. It has good enough memory and plenty of storage for all your music data and applications requirements, and performs extremely well in regard to multitasking and apps management. 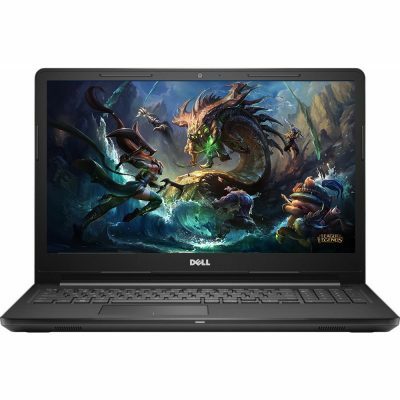 If you are looking for a solid music production laptop that can do the work and not disappoint, we recommend this Dell Business laptop that really works well for high end music production. 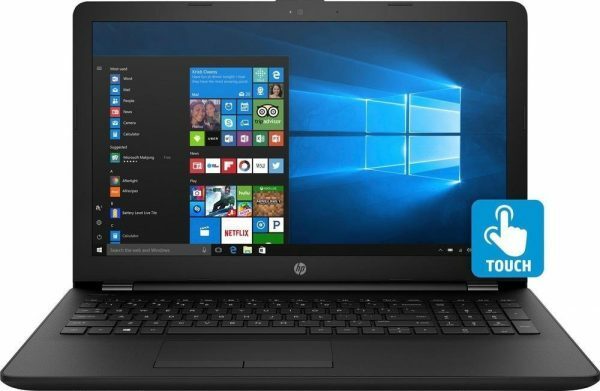 HP Notebook Premium Laptop has a very powerful set of feature-rich hardware specs to provide you with HD-quality computing including music recording and production. It combines a 7th generation Intel Core i3-7100U processor running at 2.4GHz, tons of RAM memory (8GB), more than enough 1TB HDD storage capacity, WLED-lit touchscreen display, Multi DVD burner and more to completely support any music production task. Are you looking for the ultimate music production laptop under $500? HP Notebook screams a stylish design and powerful features including a powerful 2.2 GHz Intel Core i3 Processor balanced with 8GB of RAM. It also comes with 1TB HDD storage capacity which is plenty of sufficient storage capacity that you can use for music, digital photos, HD videos and DVD-quality content. It is portable and sports a great 15.6 inches screen size to provide you with a fantastic viewing experience. It also provides support for multi format SD memory cards. For connectivity, it packed with USB 2.0, USB 3.0, HDMI and Bluetooth 4.0. In addition, it has a powerful 3-cell lithium-ion battery to help perform your tasks for long. You won’t be disappointed when you select this laptop to produce music in your home, studio, or even on the go. Sporting a 15.6-inch HD display, the Lenovo IdeaPad 320 is another great laptop under $500 to purchase for any music production routines. 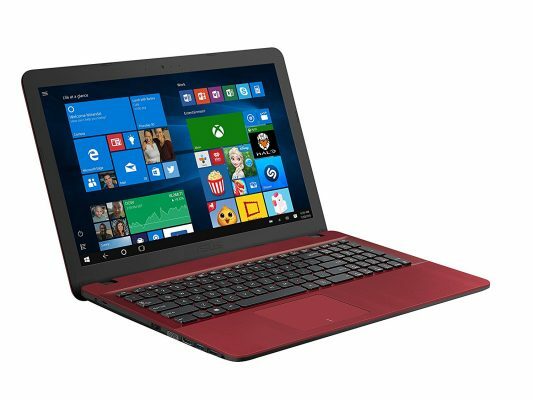 Although it looks identical to the former IdeaPad laptop, this one is loaded with state-of the-art configuration upgrades and advancements. It comprises a latest generation Quad-Core 2.7 GHz AMD A12-9720P Processor and 8GB of RAM. It functions and executes on super speed because it comes with 256GB SSD storage. Solid State Drive (SSD) storage is 5 times faster than conventional HDD storage. Lenovo delivers some of the best and the most dependable laptops in the market. 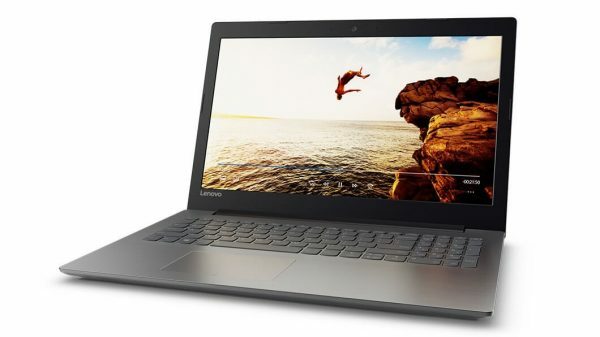 The Lenovo 320 IdeaPad is a 15.6 inches, media-savvy laptop with a sleek design that can be used by any visual media creator for cutting-edge music production. Because of a furious fast and powerful CPU that runs four cores at 2.7 GHz, a great amount of RAM, a modern GPU and loads of modern SSD storage (256GB), you can be sure of high performance and instant loading of all any music software’s, plugins and apps without encountering lag or problems. The SSD provides you with enough storage for files and faster access. We recommend this Lenovo series as one of the best and reliable laptop for making, recording, editing music as well as sound designing. 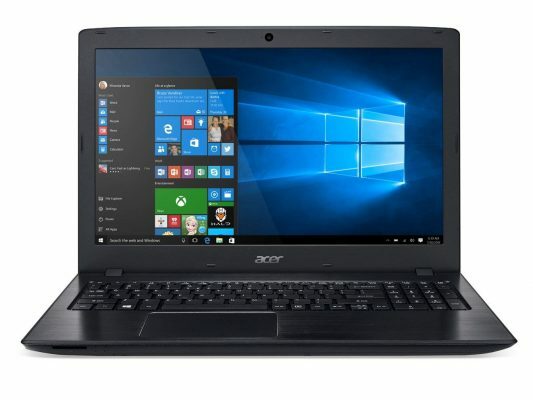 Acer Aspire E laptop offers a beautiful design and powerful performance that is backed up by an 8th generation Intel Core i3 -8130U CPU and 6GB of RAM to provide an all-inclusive incredible experience for music producers. With regards to storage, it features 1TB mechanical hard drive and as far as graphics are concerned, itsports an Intel UHD Graphics 620 Coprocessor which delivers high-level graphics quality. This smartly designed laptop has many appealing hardware features to provide incredible performance for music creators out there. Think Full HD on 15.6 inches widescreen display and the Intel Turbo 2.0 Boost Technology for enhanced performance and high-end streaming. It boasts a super-fast 802.11ac wireless antenna that is built on the new MU-MIMO technology and Type-C USB 3.1 ports that offer super-fast data transfers as well as 3.0 USB ports that can charge up your peripherals and devices when the machine is on a shut-down mode. Its battery is power stacked with more than 13 hours of continuously performing your tasks even on the go without malfunctions. For any music producing software’s execution, the HP Jaguar 15-bs070wm machine powered by an i5 -7200U CPU is very satisfactory. More than enough 1TB HDD to store different music files, 8GB RAM and numerous file transfer technologies also make it a good candidate for unconventional music production and recording. It also features Windows 10 OS Home Edition which has sufficient support for producing and mixing music. 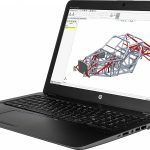 The HP Jaguar is a striking laptop. Firstly, it is beautiful in design with a 15” display size and LED-lit touchscreen capabilities. Its powerfully built i5 Intel Core processor combined with 8GB RAM, and ample 1TB HDD storage enables it to handle any music production and sound designing tasks that you throw at it without any technical hitches. It is designed for speedy data transfers featuring Thunderbolt USB 3.0, USB 3.1 and USB-C 3.1 connectors for many devices and peripherals. A LED-lit 15.6 inches display, integrated AMD Radeon graphics, 7th generation modern i5 Quad Core CPU and 8GB DDR4 RAM make Lenovo IdeaPad Laptop extremely powerful to include all the baseline requirements that you need in a music production laptop. It will allow you to perform advanced recording, editing, rendering and multitasking any music production routines. 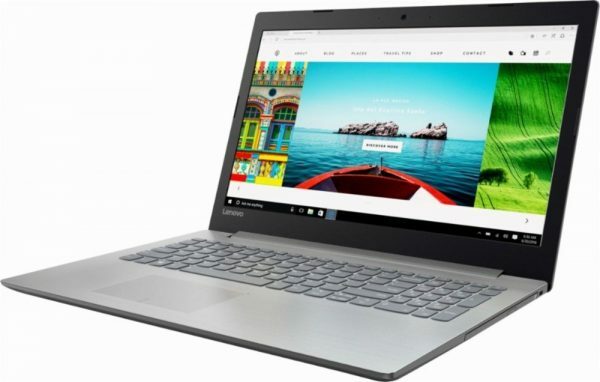 Lenovo IdeaPad is an overall good laptop under $500 for high quality music production. Packed with a lighting fast processor, impressive graphics co-processor, loads of RAM, 1TB HDD to offer you ample music storage space, and super-fast 256GB SSD drive, you can assuredly rely on it if you are a music producer. Its high-tech integrated graphics card combined with shared powerful video memory offers rock solid quality to successfully run and accomplish any music production task. Also, it’s great for Internet use, basic and advanced music production, editing, rendering and even casual gaming. Furthermore, it supports built-in media readers including SD, SDHC, Multi Media Card, and SDXC memory card formats. It has very good wireless connectivity technology - 802.11 ac - which delivers Internet speeds which are three times faster than other laptops. 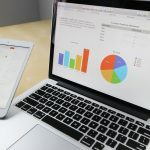 With rapid technological innovations for both software and hardware in the modern world today, the markets are loaded with numerous PCs and laptops offering a wide range of choices for users. 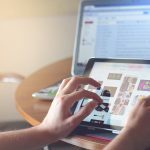 Well, we have researched and discussed the best laptops under $500 that can help you achieve your music production goals. All of them have a minimum and more of all the specifications that are recommended for a music production laptop. 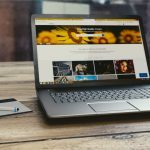 With the list you can be able to check all your basic specs requirements and select a laptop that will support high-level music production performance.